Choose Your PathThis universal, ultra-compact 2-channel footswitch is an ideal accessory for stage and studio applications. Use it on gear featuring external control functions such as guitar amps, keyboards, rhythm machines, lighting products and so on. You can easily switch between two input signals into one output or vice versa (e.g. 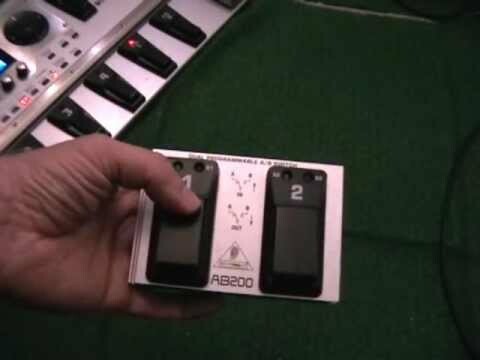 switch between two guitars using one amplifier or two amplifiers with one guitar). We’ve relied on relay switching technology for ultra-high impedance and highest signal integrity. There are dedicated LED indicators for precise status control, and you can combine multiple AB200s by using the side-mount interlock. You will need one 9 V battery for operation (not included). Usable for all products with external control functions such as guitar amps, keyboards, rhythm machines, lighting products, etc.